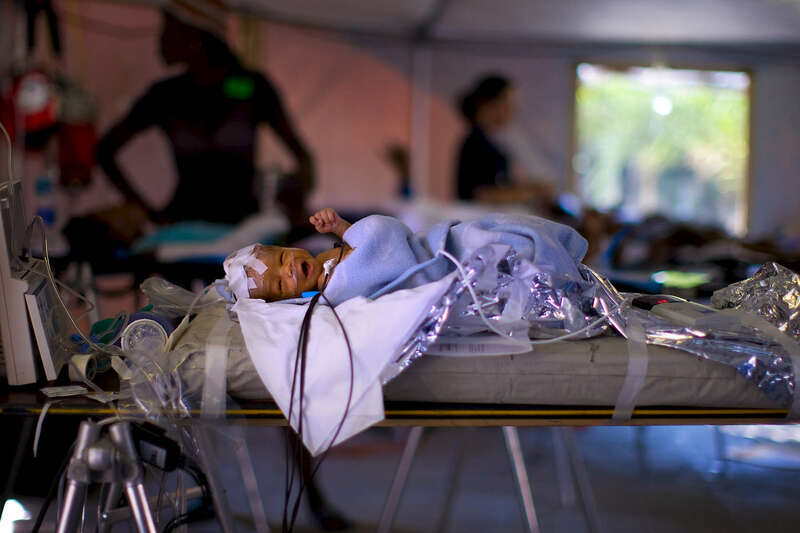 1/24/10 Port-au-Prince, Haiti - Gheskio Field Hospital - This four-day old infant developed a life threatening tetanus infection from a dirty umbilical cord. The medical staff reported an uptick in infectious disease presentation, perhaps because of the inability for those affected by the earthquake to keep themselves clean under the devastated conditions. On the last day of their deployment for DMAT MA-1 and the second-to-last day for IMSuRT, medical workers stayed busy with a steady stream of patients. Story by Stephen Smith/Globe Staff. Dina Rudick/Globe Staff.